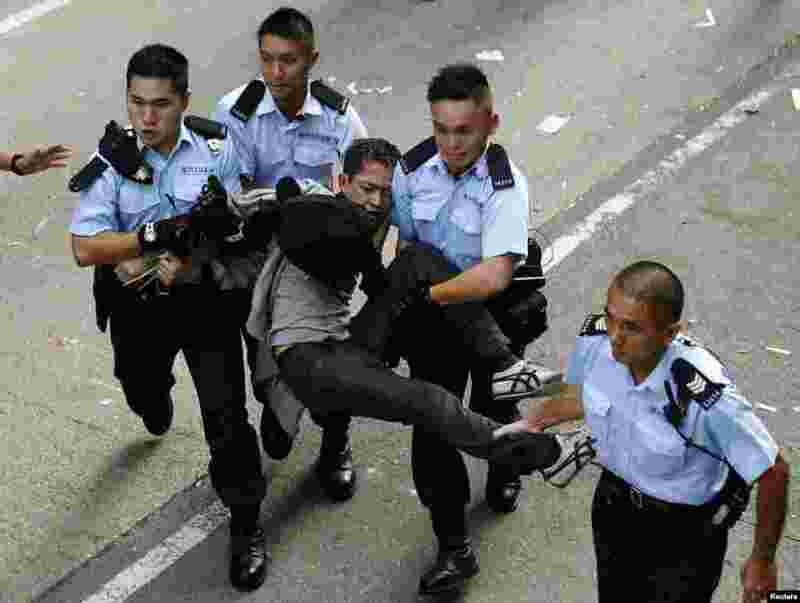 1 A pro-democracy protester is arrested after refusing to leave the protest site being dismantled by bailiffs under a court injunction, at Mong Kok shopping district in Hong Kong, Nov. 25, 2014. 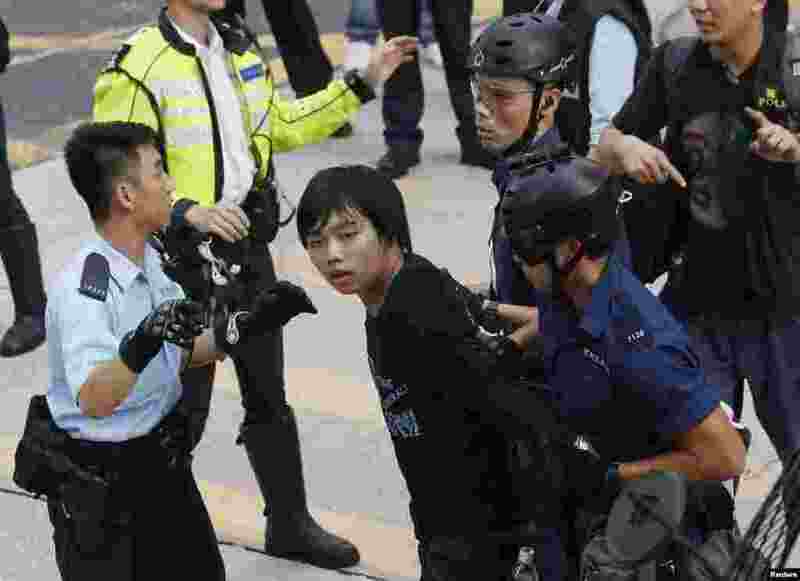 2 Police arrest a student protester after he refused to leave a the protest site at Mong Kok shopping district in Hong Kong, November 25, 2014. 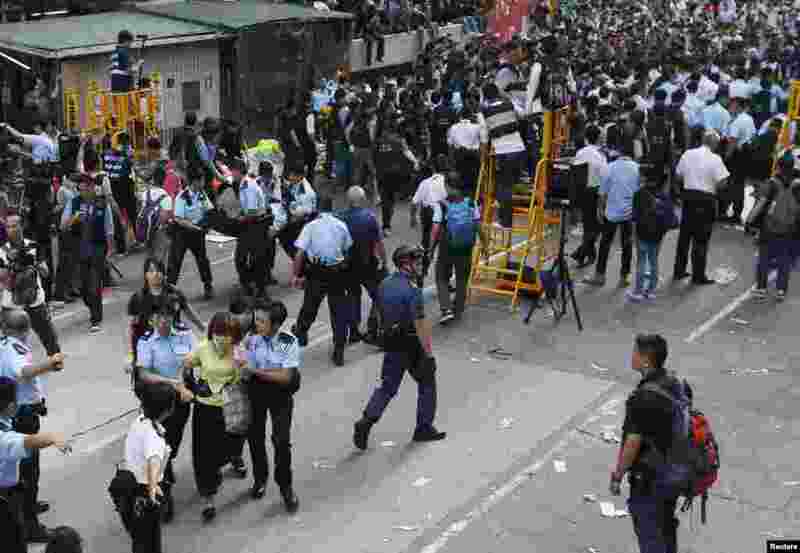 3 Protesters are arrested by police after refusing to leave the protest site while bailiffs clear it under a court injunction, at Mong Kok shopping district in Hong Kong, Nov. 25, 2014. 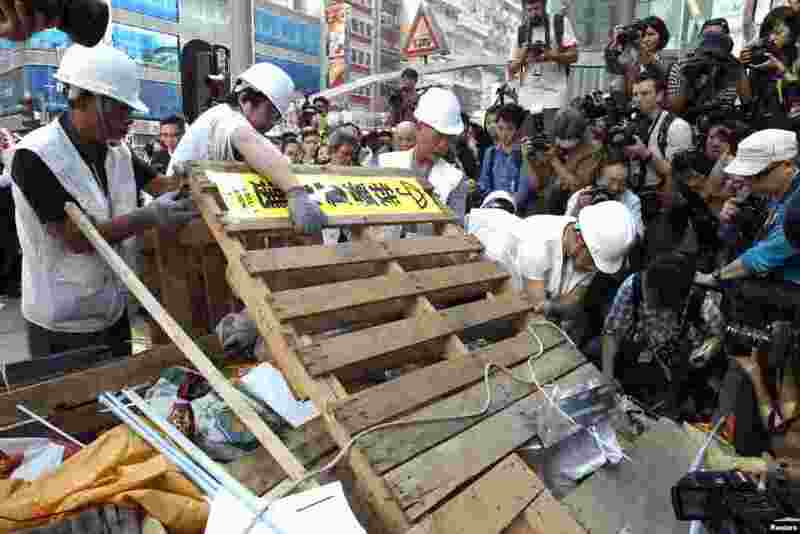 4 Workers demolish a barricade on one of the main streets under a court injunction at Mong Kok shopping district in Hong Kong, Nov. 25, 2014.